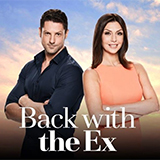 Back With The Ex is a TV show on Australian national television from Seven with an average rating of 3.7 stars by TVCatchUpAustralia.com's visitors. We have 6 episodes of Back With The Ex in our archive. The first episode of Back With The Ex was broadcast in May, 2018. Did you miss an episode of Back With The Ex but don't you wan't that to happen in the future? Please set an alarm and add Back With The Ex to your favourites, so we can remind you by email when there's a new episode available to watch. Completely free: handy! After spending three weeks getting reacquainted with one another, will our exes choose to stay together forever or walk away from each other for good? Was their first love the one that truly got away? The couples go on a trip of a lifetime, their last chance to get back the spark before they make their final decision. Can they find love again, or will their past problems be too much to overcome? After spending a week together, the couples trade houses. How far will they go to please their partner? Alarm bells ring in North Carolina. Will the day to day drive a wedge between Peter and Diane? All the exes meet each other on an all boy's and girl's night out and compare notes on the status of their relationships. Secrets will be revealed and one revelation shocks them all. The couples go on another date and delve into a box containing good and bad memories from their past. 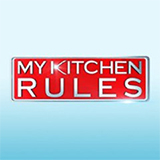 And emotions run high as they revisit their relationships to discover where they went wrong.